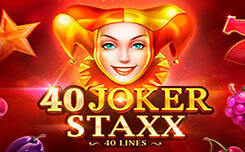 Slot Fruits N Stars, has five reels and 5 paylines. 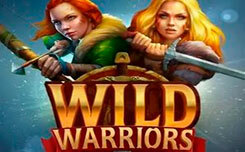 The game is performed in the popular “fruity” style and will please both beginners and experienced players with interesting gameplay and frequent winnings. On the game screen, you will see a variety of fruits that will bring you a good win. Star, performs the role of scatter. 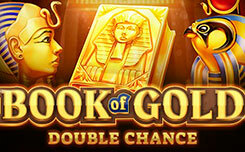 If there are 2 or more stars on the reels, your winnings will be much larger. Risky game suggests guessing what color the card will drop. The right choice will increase your winnings by 2, and the wrong one will result in the loss of all the winnings per round. 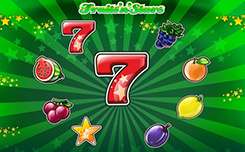 Slot Fruits N Stars – an incredibly interesting and generous machine that will appeal to many players.